For the fourth time in the history of American filmmaking, one of the all time great movie monsters bows into theaters to pound his chest, roar and reign supreme over an island not meant for man to tread. It’s director Jordan Vogt-Roberts’ turn to give life to a beast some have dubbed the Eighth Wonder of the World in Kong: Skull Island. Image by Legendary Entertainment and Warner Bros.
Fair warning: the plot for the film will be familiar if one is familiar with the mythos of Kong from the past. In in the early 1970s, a scientific expedition to an uncharted island in the South Pacific goes horribly awry, when a team led by Colonel Preston Packard, decommissioned SAS Captain James Conrad and researcher Bill Randa run afoul of Kong, the mammoth ape protector of Skull Island. Their first encounter with the beast results in seven soldiers dead and the research team separated and every single soul on the island is in grave peril, but not from Kong; the truth is that Kong is the island’s deterrent to creatures far more frightening. I won’t go out of my way to tell you that Kong: Skull Island is a blockbuster worthy of a king or it should be rightfully crowned. I found the picture rather tame with a few original twists but I suppose I was just unsatisfied with the final result. If Kong: Skull Island had any selling points, it would be that I thought Vogt-Roberts and the writing team of Dan Gilroy, Max Borenstein and Derek Connelly did a nice job in adhering to Kong’s origins and island life/persona: a fearsome protector to those in need, always ready to aid a damsel, worshipped as a god on Skull Island. I felt that they recognized the scope and grandeur of the title character and did what they could to make him as big as possible but the film itself just couldn’t measure up to the enormity of Kong’s reputation. Seriously, take the giant ape out of the picture and what are you left with? For starters you have a movie that is weighed down to the anchored to the homages paid to Apocalypse Now, which is excessive to the point of over-the-top. This movie could have occurred in any time period so, why at the end of the Vietnam War? You also have a movie that simply wastes a lot of star power. Tom Hiddleston, Samuel L. Jackson, John C. Reilly, Brie Larson, John Goodman, Toby Kebbell, Jason Mitchell, Corey Hawkins, John Ortiz, Shea Whigham, Tian Jing, Thomas Mann, Will Britain, Richard Jenkins; there are many good actors in this movie and this cast tries to deliver good performances where they can but like Godzilla, they’re not why audiences show up! Whatever contributions they do make, go to waste because the material they are working with is shallow and the visual effects steals the show. Larry Fong’s cinematography aims to be strong but reeks of inconsistency and the editing Richard Pearson follows suit, which is unfortunate. Stefan DeChant’s production design is striking, the art direction is commendable, the set decoration by Cynthia La Jeunesse is fine, Mary E. Vogt’s costumes aimed for authenticity; technically there was a lot to respect with this film and what did you didn’t like, you forgot. Maybe I subconsciously compared Kong: Skull Island to its 2005 predecessor by Peter Jackson, even though I didn’t want to, but ultimately I couldn’t help but notice that Jackson’s Kong had the girth and dimensions to bring Kong to its Kingly status while this film felt cartoonish. Kong: Skull Island is fun, in it’s own way, but lacking. The concept has been cooking for sometime now and finally, the concept is on the horizon of reality. The title characters of the upcoming Godzilla sequel and King Kong: Skull Island will meet on a field of their own choosing to do battle worthy enough of concession stand popcorn consumption. Warner Bros. has decided that the upcoming King Kong: Skull Island feature is worthy of their backing, which is enough to kickstart a cinematic clash of the monolithic movie monsters. I’m told this is happening very quickly with moves going all the way to Japan, where Godzilla rights holder Toho is based. Legendary, which moved from Warner Bros to Universal, had developed the Skull Island film at the latter studio. It is unclear at the moment what Universal’s position will be, but I heard the studio move is being done because it is just easier to have all the pieces under one roof, something that Marvel Studios has done with superheroes like The Hulk. King Kong is in the public domain, while Legendary got the Godzilla rights from Toho. Gareth Edwards will return to direct the sequel to the 2014 reboot and he is bringing Max Borenstein back to write the screenplay, who happens to be writing the screenplay for King Kong: Skull Island, alongside Derek Connelly, John Gatins and Dan Gilroy, for Jordan Vogt-Roberts. King Kong: Skull Island is due in theaters in 2017 and stars Jason Mitchell, Corey Hawkins, Tom Hiddleston, Brie Larson, Toby Kebbell and Samuel L. Jackson. The Godzilla sequel doesn’t have a cast yet, but everything is on track to make its 2018 release date. I’m not exactly sure I would say that I’m a fan of Jurassic Park, in the same sense that I am a fan of Star Wars and superhero mythology. I show appreciation for the technical prowess and ingenuity the original Jurassic Park feature managed to accomplish 22 years ago, but when Spielberg’s epic creature feature was released then, I was probably four or five years old when I first saw it so I didn’t know any better. Anyway, flash-forward to today and we have Jurassic World, director/screenwriter Colin Trevorrow’s attempt to build a new world atop the bones of the original, in many ways metaphorical and literal. Still, the song remains the same: humans try to play God and they inadvertently let the devil out of the box. The devil in this case being a genetically engineered T-Rex-raptor hybrid code-name: Indominous Rex; a 50 ft long, pale, thick-skinned and intelligent predator raised in captivity with no social skills whatsoever. She ate her own sibling! Well because Indominous is such a “clever girl” she manages to take her own tour of Isla Nublar, indifferent to the tens of thousands of human inhabitants who wanted to enjoy the park’s attractions and if she’s hungry, she has no issue eating anything or anyone. I had reservations going into Jurassic World, I wasn’t even 100% certain that I was actually on board with seeing it because I was thinking: “have they learned nothing from the first movie?! Why are they still playing God? !” I guess after two decades of hibernation, producers Steven Spielberg, Thomas Tull and company thought that they could reinvigorate the park franchise with something bigger, scarier and more “wow-factor” when in reality, they were just beating an extinct horse. Could you say that Indominous is the top attraction to Jurassic World? Sure, but thing is, watching her hunt is like-oh good Lord, I’m about to quote American Dad (SMH)-“like watching a shark in an aquarium. It’s intimidating, menacing even but scary? No.” Amy Elliot Dunn from Gone Girl, she was a scary b****! Indominous made me flinch a time or two but whatever. I felt that there was only one organically grown moment in Jurassic World, a movie that feels so genetically modified from start to finish. The scene with Chris Pratt and Bryce Dallas Howard are comforting a dying Brontosaurus; that was a moment that truly hearkened back to the original film and it was sure pure to witness even though it was brief. 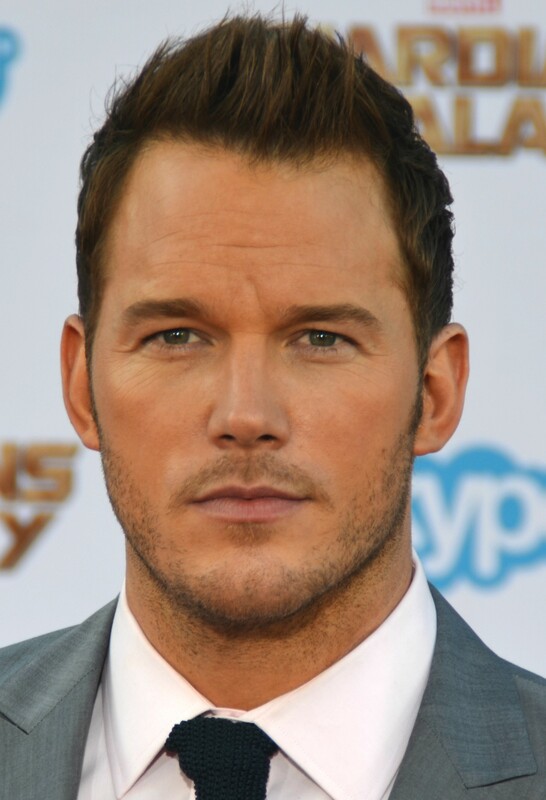 Well since I started talking about the human characters let’s go into detail about Chris Pratt’s slightly chauvinist raptor-training Owen. This leading male character is the voice of reason throughout this entire film and he’s probably the other reason, besides Indominous, people will want to see this because he finally has a superpower: the ability to train those ancient killing machines called raptors. It feels as though the role of Owen was tailored for Pratt but he’s difficult to assess, yes he can be a badass at times but there is nothing appealing about his character to be honest. Bryce Dallas Howard’s character, Claire, just drops the ball in so many ways. She comes off as this pent-up, workaholic, irresponsible guardian to her nephews, played by Ty Simpkins and Nick Robinson, in this crisis, (I’m not exactly the world’s best uncle myself) who puts business ahead of everything else and throughout the entire movie she is so subservient to Owen’s masculine presence, it’s trifling, disappointing and hollow. The rest of the cast including Vincent D’Onoforio, Omar Sy, B.D. Wong, Irrfan Khan, Judy Greer either contribute so little to the narrative or are basically reduced to props. The entire human cast takes a backseat to the CGI animals in a way that seems inferior to how the human cast took a backseat to last year’s Godzilla remake. Technically Jurassic World is quite safe when it should be edgy and thrilling. Even the CGI dinosaurs are mechanical at best. The production design by Ed Verraux, the editing by Kevin Stitt, Michael Giacchino’s score for instance are all very tame because I felt that the director spent so much time trying to honor the original material and recapture something past, that there is nothing current or modern about it. With how this movie was written, it couldn’t be anymore obvious that a sequel is in the works. Even the fossils could tell that a sequel is planned out! I think Colin Trevorrow should shoulder the brunt of responsibility for how tacky this movie was. Some parts of the film were reduced to a colossal cliche, like with Khan’s character made it clear that he was the only suitable helicopter pilot on hand and the camera had to zoom in to make that clear, WTF! Also the final showdown between Indominous and Tyrannosaurus to determine who is Rex of Jurassic World, most of the time, the camera is on Pratt, Howard, Simpkins and Robinson, I did not pay $14 to have the camera on the insignificant humans of Jurassic World! Mr. Trevorrow or John Schwartzman, director of photography, keep the camera’s on the dinosaurs for crying out loud! I had reservations going into Jurassic World. I wasn’t even sure if I absolutely wanted to see it. Turns out, I wasn’t missing anything if I skipped it. Makes a lot of sense, if you ask me. There is a long period of unexplored time between Star Wars Episode III: Revenge of the Sith and Star Wars Episode IV: A New Hope, which happens to be the period of time when the Death Star was under construction, so a film, or an anthology of films, could be made to shed light on what happened between both trilogies. The television program Star Wars Rebels already touches on this time period, but Star Wars: Rogue One promises to be more extensive. Even though it’s still early in development, a teaser has been unofficially released, but I’ll wait to post that when it becomes official. Star Wars: Rogue One arrives in theaters on December 16, 2016. Anyway, here’s my opinion about this year’s crop of summer blockbusters: “Meh.” I’m saying, that this year’s collection of big budget flicks were highly anticipated but one way or another, they missed the mark in terms of effectiveness. This summer is highlighted, by aliens, heroes, apes, turtles, dragons and mutants. There were some defining moments and tragic letdowns in all, so let’s take a look at the best and worst of the blockbusters of 2014. Marvel’s band of anti-heroic outlaws are the biggest surprise of the year. When this feature was announced as an installment of Marvel’s Avengers Initiative, I thought it was doomed for failure. I understood that it was a necessary platform to introduce the “overlord of villainy” whom the Avengers would stand toe-to-toe with in their final battle, but once I finally saw the finished product, I am proud to admit that I was impressed. James Gunn, did a great job bringing the cosmic corners of the Marvel Universe to the big screen and he did right with the cast including Chris Pratt, Zoe Saldana, Vin Diesel, Bradley Cooper, Dave Bautista, Lee Pace, Glenn Close and a great assortment of diverse actors. “Guardians of the Galaxy” was a surprising and entertaining feature. The rebooted tale of Peter Parker and his alter-ego is beginning to spiral into a chaotic mess of a franchise. Marc Webb and Andrew Garfield began this project of taking Spider-Man into his early origins and went in with big shoes to fill trying to follow Sam Raimi and Tobey Maguire’s version. Spider-Man had to contend with three villains in his second outing: Paul Giamatti’s Rhino, Dane Dehaan’s Green Goblin and Jamie Foxx’s Electro and this movie failed when it tried to juggle multiple subplots and it simply couldn’t handle everything Webb and the writers wanted to accomplish and now the franchise is at a trending downwards-crossroads. Big disappointment. Marvel Studios has it all going on! Phase 2 of Marvel’s Avengers Initiative closed with “Guardians of the Galaxy,” but the film that came before it was top of the class in terms of the superhero genre outings of the year. The Russo Brothers took the helm of Captain Rogers’ solo installment, pitting Chris Evans, Anthony Mackie, Scarlett Johansson and Samuel L. Jackson against the mysterious Winter Soldier and the resurgent H.Y.D.R.A., while setting the stage for the next grand adventure that lies in store for Earth’s Mightiest Heroes and they did it with aplomb! This was the smartest, action-packed, outstanding superhero summer blockbuster of the year. Spidey may have won against the Goblin and Electro but he failed to win over audiences. The biggest lesson to learn from “The Amazing Spider-Man 2” is that handling multiple plots in a rushed method is hazardous to a film’s chances for success. This was a close call between “Guardians of the Galaxy,” “Captain America: the Winter Soldier,” “Godzilla,” “X-Men: Days of Future Past” but the film with the elite visual effects had to go to “Dawn of the Planet of the Apes.” What separates “Dawn of the Planet of the Apes,” from the rest of the films of summer 2014 is not only the quality of the visual effects but also the subtlety of their usage as well as the camerawork/cinematography utilized by Michael Seresin. This was hardly a close call at all. In fact, I consider this film to be one of the best of the year. The flying sequences, the setting designs, the characters were all as lush and beautiful as the story written and directed by Dean DuBlois. I expect this film to be recognized by the Academy of Motion Picture Arts and Sciences to be one of the best animated features of 2014. This was another close call, but in terms of overall craftsmanship, entertainment and exceeding expectations “Captain America: The Winter Soldier” ended up coming out on top when it came to the class of 2014 summer blockbusters. Michael Bay may feel insulted by this but this was no contest. “Transformers: Age of Extinction” had a lot of shiny bells and whistles, but let’s face it, there was virtually no substance behind it and the plot-holes were as large as Texas. Michael Bay must have exhausted his personal ammunition cash making this unnecessary sequel and maybe that was the entire point of making this unnecessary sequel. As for the movie he produced, not directed (that “honor” belonged to Jonathan Liebesman), the sole honest truth about “Teenage Mutant Ninja Turtles” is that when people saw it, scores of brain cells lost their reason for existing. A lot of factors worked against the live-action reboot of the heroes in the half-shell. Let’s leave it at that. Final Summary: To be honest, this year’s summer blockbusters weren’t exactly awesome as a whole but there were steady and entertaining films released this summer. Anyway, that is the final word of the summer season of 2014 blockbusters and now we can look ahead to the fall season where potential Oscar contenders could come out to play. It will probably be a while since I come back to give reviews; nothing notable will be out until at least mid-September, but I will be about if anything newsworthy needs to be reported. Check ya later. Godzilla 2 is a go! Godzilla will make a monstrous comeback in 2018. Gareth Edward’s re-imagining of the iconic king of the movie monsters enjoyed a brief stint of success at the box office this summer. “Godzilla” has earned a respectable $500 million collection at the box office this summer and that success is usually followed by a sequel. 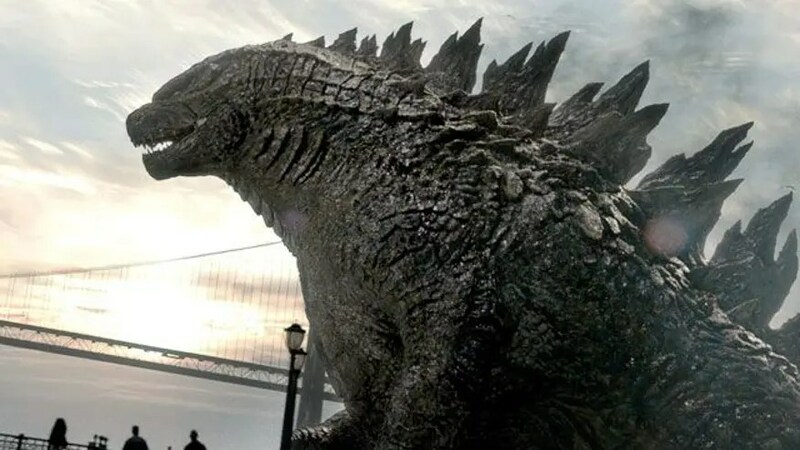 Now there is definite confirmation that a sequel is on its way and there is speculation that Godzilla will be joined by other notable creatures such as Mothra, Rodan and Ghidorah in this installment. Warner Bros. and Legendary has announced that a new installment of their rebooted “Godzilla” franchise is slated for a June 2018 release with Gareth Edwards returning to direct. The studios are definitely planning something big because a few weeks ago, they made an announcement that a “Skull Island” film, which is said to be a prequel of “King Kong” is moving forward to meet a November 2016 release date. Perhaps a showdown of epic proportions is about to take place.